So the sun goes down on another F1 campaign. 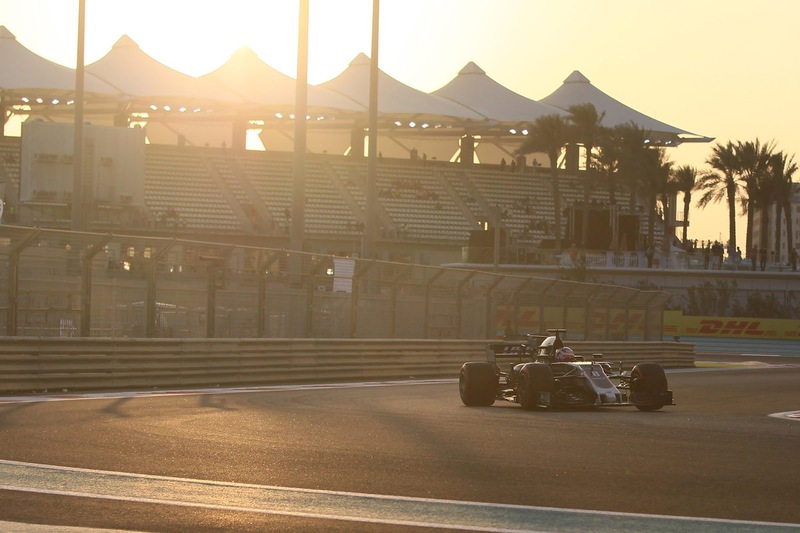 And providing the visual metaphor, the season-closing round is the Abu Dhabi Grand Prix. F1's only day-to-night event. The sunset on this 2018 season has been slow, and we enter this finale with remarkably little at stake. Both titles are decided of course, but even further down the tables there is meagre potential for change at the last. 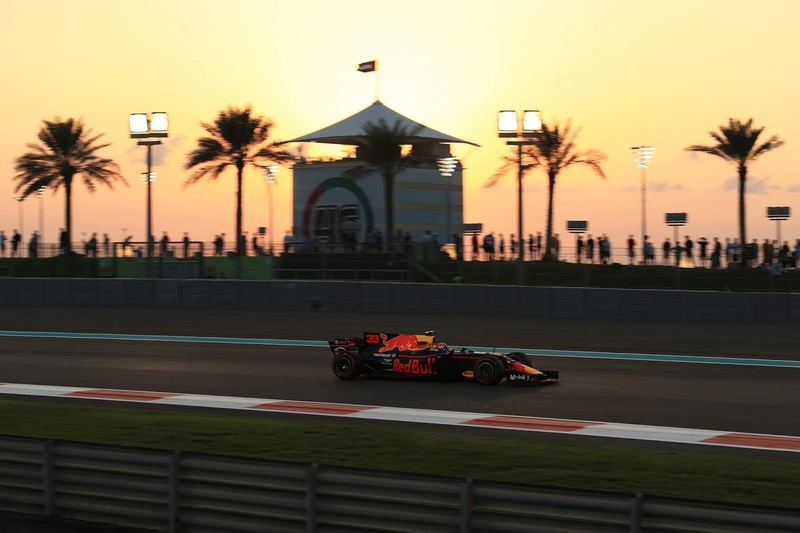 Underlining the point the most conspicuous bone of contention at the Yas Marina track this weekend is that Valtteri Bottas and Max Verstappen are separated by three points in the 'battle' for fourth in the drivers' standings. Either theoretically could leapfrog Kimi Raikkonen for third as well - Bottas is 14 points behind and Verstappen 17 - though that outcome will likely require a no-score for Raikkonen. Even in the all-important constructors' order - all-important as that's what they base the money on - just about all teams look well ensconced in their places. The most likely shift is that a good weekend for Sauber - and it looked quick in Brazil - combined with a meagre one for Force India may allow the Swiss team to vault over the six-point gap between them. Conversely a sixth and seventh place for Force India combined with no McLaren points will get Force India up a place. Yet the Yas Marina round is a world away from the previous one at Interlagos, and not just due to start time scheduling. 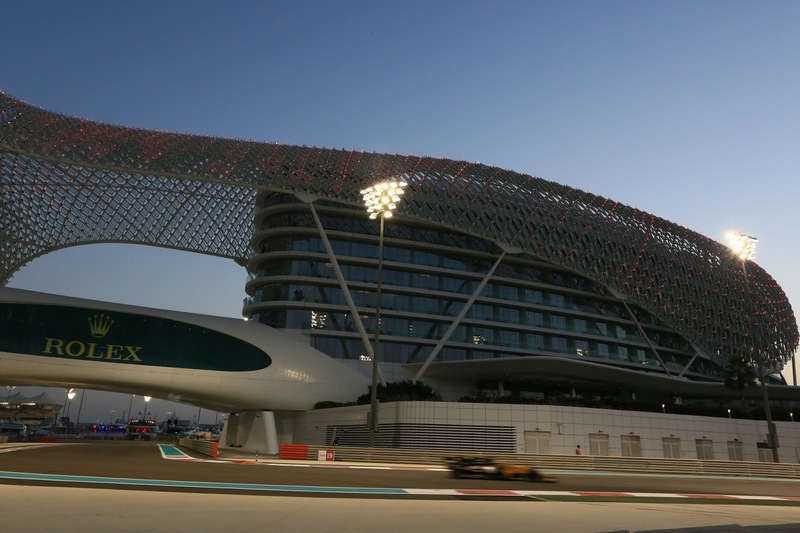 The Abu Dhabi venue never fails to look stunning and not just because of the Le Mans-redolent day-to-night lighting. Even now, in F1's 10th visit, no venue represents such a visual leap into the future as this one around the Yas Marina. None perhaps even come close. Adding to the sense of the standard here champion Lewis Hamilton has long been considered a circuit specialist. He's won here three times, as well as has twice more retired with a technical failure having led; he tends to be mighty through the street circuit-like final sector in particular (this is one parallel with Interlagos, that the track is two parts full throttle and one part incongruously twisty). 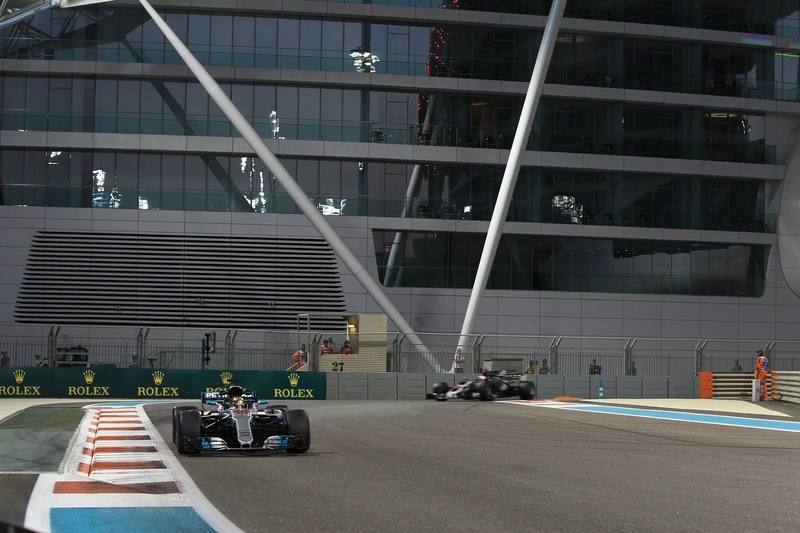 Mercedes meanwhile has triumphed on the last four visits to this Yas Marina track. Another local specialist, or at least who once was considered so, is Sebastian Vettel. He also has won here on three occasions and thrives on the track's challenges. 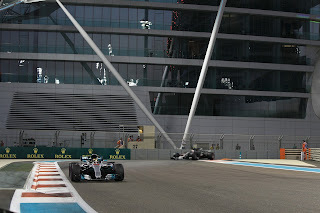 Last year's win for Bottas was only the third time that the Abu Dhabi Grand Prix was not won by Lewis or Seb, and up until 2013 only that pair had taken pole here too. But then again we know that Vettel's claims come with an asterisk these days, as his form - and moods - have wavered lately. But still, a bit like Damon Hill in 1995's season-closer, he'll likely be minded to go into the off-season with a timely boost. On the other hand Ferrari has never won at this track and last year was more off Mercedes on pace than anticipated. Much of our intrigue recently has instead come from Red Bull, and especially from Verstappen's Red Bull. He won in Mexico two rounds ago and should have won last time out in Brazil. Abu Dhabi will be a harder task still for the Milton Keynes machine, this one being at sea level and having even more full throttle zones (neither being good news for its Renault engine) than the previous two. But then again in Brazil it was race day tyre-handling that set the Bulls apart and the same may apply again here, particularly as Mercedes has encountered tyre bother in each of the last three races. At the very least the tightly-packed corners at the start and end of the lap and the low grip surface will be just the Bulls' thing. 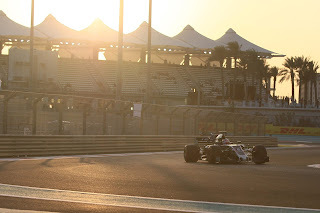 Force India, as noted with both vague threat and opportunity in regard to its constructors' position, has a good record at this circuit and last year finished seventh and eighth having qualified eighth and ninth. Renault's Nico Hulkenberg meanwhile was best of the rest here last year, starting seventh and finishing sixth, and doing so with some comfort. And despite the local reputation there's some potential for the unusual here, not least in reliability. It's the season's final round when power units and gearboxes will be at the end of their life-cycles. 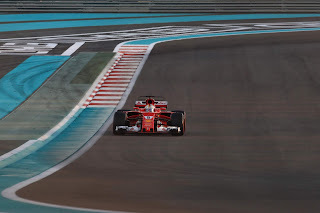 You can add too that the Yas Marina track is tough on engines generally with its long full throttle sections and high temperatures - though that the race takes place in the evening, with the second part at night, takes the edge off this. 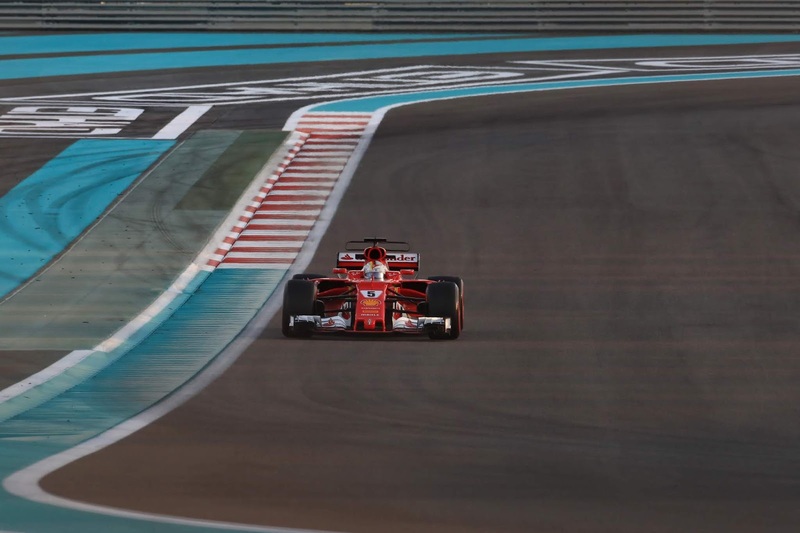 A set-up compromise has to be found between both the straights and the wide variety of corner speeds, and that two of the three practice sessions take place during the day, in unrepresentative conditions for qualifying and the race, adds to the engineering challenge. There may also be interest via strategy. The smooth surface and lack of long corners here means the tyres have a relatively easy time of it; last year, even with the three softest compounds being brought, was an easy one-stop affair with degradation low and tactics such as overcuts having limited effect. This year the gumball hyper-soft compound is included instead of the soft plus with this year's compounds generally being softer the tyres are in effect 'two softer' than 12 months ago. We have also seen that joy can be had here from doing a reverse strategy of starting on a harder tyre and finishing on a softer one if you start outside the top 10, or else somehow get through Q2 on a harder compound. This is because it suits the drop in track temperature as the day-to-night race goes on (from roughly 30C to 19C), with examples of it working including Vettel in 2015 starting P15 and finishing fourth. It's not the place's only back-to-front aspect. In that way surely only Hermann Tilke can, two ultra-extended straights ended by big braking zones here somehow can amount to next-to-no on-track passing, something emphasised when Alonso notoriously lost the 2010 title by spending several hours behind Vitaly Petrov's Renault. Though equally in more recent races back-to-back DRS zones on those two straights can result in some action, particularly in the midfield. Can Max Verstappen put together another victory charge? While among several other team shifts Raikkonen bids Ferrari adieu and Daniel Ricciardo does similar to Red Bull. One can hope we get something else back-to-front this weekend, that the Abu Dhabi race defies some of its reputation and gives the season an entertaining send-off.